Take your students on an epic worldwide adventure in search of animals and secret letters. 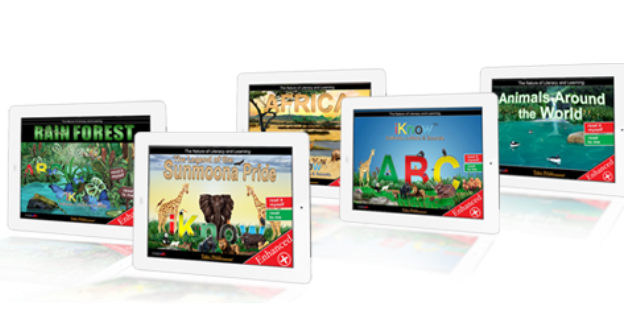 We are proud to introduce iKnow School Adventure for pre-kindergarten and kindergarten students, teachers and families. 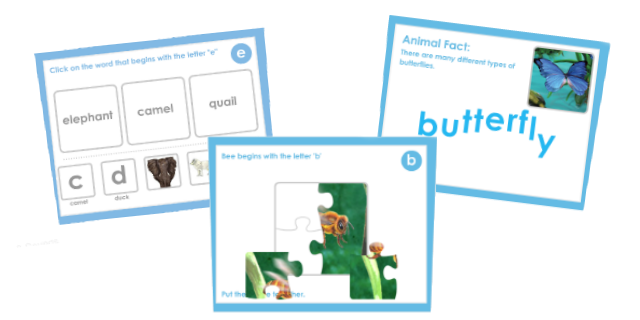 Our story-driven, digital and experiential blended approach to beginning reading, science and technology gives emergent readers a great start learning to read. The captivating story provides a purpose for learning. 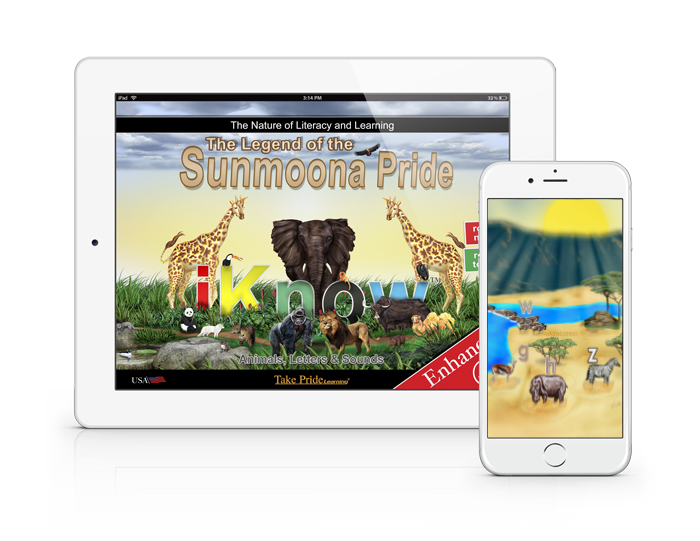 The Legend of the SunMoona Pride inspires children to do their best by asking them to help the animals find and activate the secret letters in the animal alphabet so then The Pride can reunite. Global citizenship and philanthropy are practiced with iKnow School Adventure. Students earn and give Pride Points for academic and social excellence. The creators of iKnow School Adventure will donate a portion of the proceeds to help the animals in need. 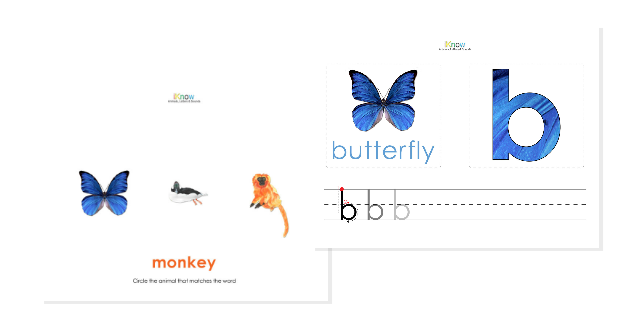 Do your students struggle with phonemic awareness and alphabetic principles? iKnow School Adventure is your solution! Created by an award-winning teacher and technology expert because when emergent readers build a strong foundation for the basics, they become better readers and more successful students. After the iKnowABC Adventure debuted at a Nevada elementary school last year, test scores soared by 100 percent! 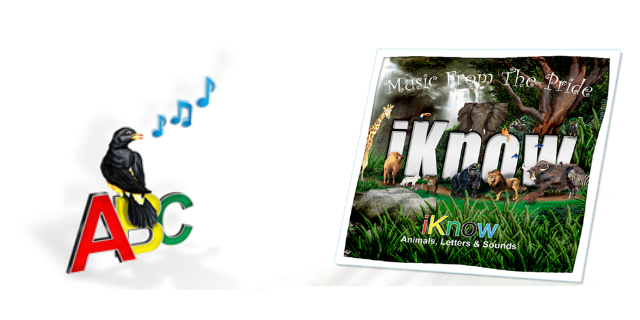 Imagine what using the iKnowABC Adventure will mean to your student’s success? iKnow School Adventure is purposefully designed to allow for flexibility to meet the specific needs of each unique classroom setting and enables districts and schools to easily customize the learning experience. It includes everything from classroom layouts and educational materials to educational software and planning tools. 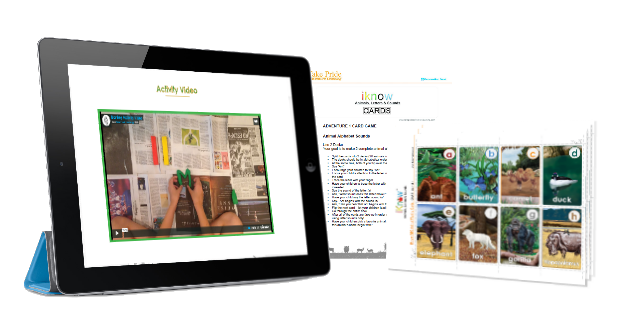 Contact us to learn how to implement iKnowABC School Adventure in your classroom, school or district. Expand beyond the walls of your classroom through the effective usage of technology. Captivate the hearts and minds of young children while using technology and music to learn phonics, phonemic awareness, and science concepts including environmental awareness, global citizenship, and character development. iKnow School Adventure was designed using cutting edge research to optimize learning and growth during the first 5 years of a child’s life. Designed for group and individual learning. iKnow uses technology to reach and teach children using a multi-modality approach, teaching to all of the senses. There are many ways to implement technology into the classroom. Children can discover clues, learn about musical instruments, record themselves saying letter sounds, make videos, take pictures, research and investigate. Make use of content for every scenario online and offline. Encourages them to learn more about the animals and preservation of the planet. A unique story that focuses on the heart of the different habitats and the animals that live there. 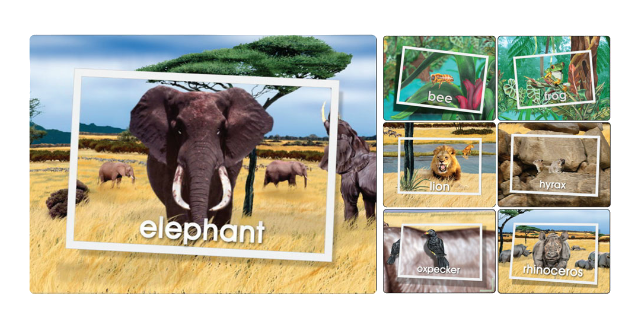 The poetic story is told in rhyme and recurring themes are discovered throughout the iKnow School Adventure Program. Builds a strong foundation for learning and prepares them to excel pre-school and kindergarten. Also a great program for homeschool education. As children develop oral language (speaking and listening) and learn beginning reading skills, they are simultaneously helping the animals and the environment. The storyline is designed to allow children to experience the joy of knowing their contribution matters. Creates a mindset favorable for learning. 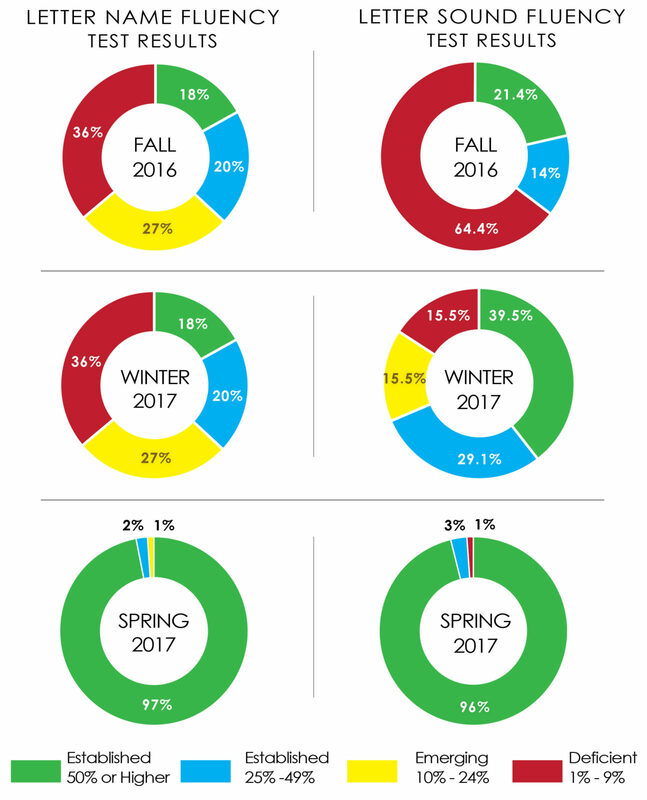 Download the complete overview now to learn more about how iKnow Schools can improve learning in your school today.